The popularity of VPNs has grown enormously in recent years. Yet while the term VPN is used increasingly in the media, to some it is still a technical acronym that they assume is beyond their understanding. It is a common misconception that a VPN is a complicated high-tech tool. In fact, it is no harder to use than anti-virus software and, in many cases, a lot easier. 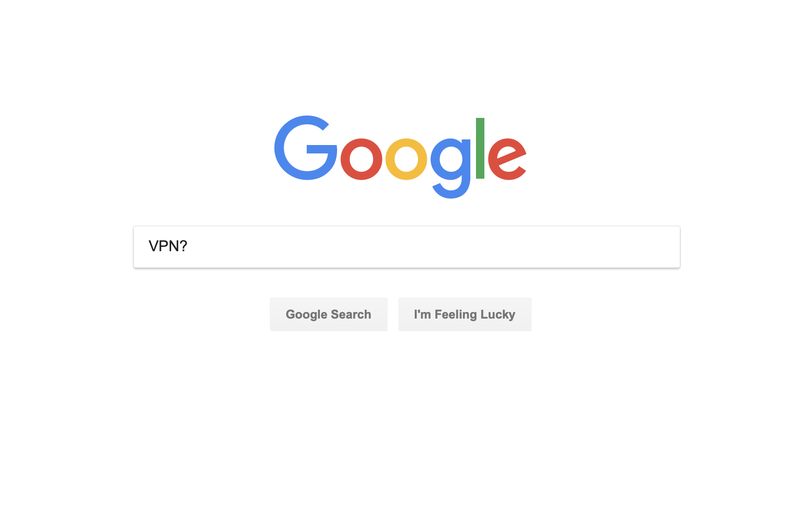 In this article, we are going try and explode the myth that VPNs are complex and difficult by answering the 8 questions that Google is asked most about VPNs. 1) What is a VPN and how does it work? The acronym VPN stands for Virtual Private Network. Calm down! It is a lot simpler than it sounds. A VPN is essentially an online security and privacy tool which protects your online data and helps to keep your online activity private. When you connect to a VPN, everything you do online is redirected through an encrypted tunnel. This means that all of your online data is encoded and hackers or other prying eyes are unable to see what it contains. At the end of that tunnel, your data is then passed through an external server. This serves two purposes. Firstly, it changes the IP Address your internet data is tagged with. An IP Address is a bit of code which tells the websites you visit where you are connecting to the internet from. By changing this, you are ensuring your online activity is private and cannot be traced back to you. VPNs operate a network of servers around the world and this brings us to the next purpose of sending your data through a server. If the server is located in another country, the new IP Address assigned to your data will be too. This means that you will be able to unblock sites which usually restrict access to users in certain countries. 2) How do I set up a VPN? If you are panicking that this still all sounds very complex, don’t worry. That is what a VPN does, but the vast majority of it happens automatically. As a user, there is actually very little that you actually have to do yourself. Sign up for ExpressVPN by visiting their website and choosing the best package for your needs. Visit the Products section of their website and download the right app for your device. Open the app and log-in using the account details you were given when you signed up. You can then just click Connect to be connected to the closest available server. Alternatively, select Choose Location, followed by the country you want to connect to, and then click. This process will vary slightly if you choose a different VPN provider, but all the main providers are broadly the same. Most VPNs will also have other settings that you can play about with too, but this is not necessary. Just following these few steps will get you connected to a VPN and enjoying all the main benefits they offer. 3) Are VPNs safe to use? The short answer to this question is yes, it is perfectly safe to use a VPN. But there is a slight caveat to this. Different VPNs use different forms of encryption and have different privacy policies, so some can be safer than others. If you are using a paid-for VPN, like the providers we recommend on this site, you can be broadly confident that your online data will be both secure and private. We do however recommend that you do some research and read our detailed reviews of a VPN to make sure you are happy before handing over any of your hard-earned money. If you are planning to use a so-called free VPN, we would have to give a different answer to this question. We are yet to find any free VPNs that we would consider safe to use. Some act as data farms, harvesting user information and selling it to the highest bidder. Others are essentially adware programmes masquerading as a VPN. Most worrying of all is a recent report which confirmed that most free VPNs offer no privacy protections and have direct links to the Communist regime in China, which is renowned for its online abuses. A paid-for VPN will only set you back a few £ a month. But the price you have to pay for a free VPN is an awful lot higher. 4) Is it illegal to have a VPN? The answer to this question depends on where in the world you are. In the UK, USA, and almost all other free and developed countries, the answer is a categorical no. But if you are living, working, or travelling in other parts of the world, using VPNs can be illegal or restricted. There are currently only four countries where a VPN is banned outright. They are Iraq, North Korea, Belarus, and Turkmenistan. In China, it is only legal to use a state-approved VPN. As these will comply with the Communist regimes surveillance and censorship requirements, that is akin to banning VPNs too. Other countries where there are strict state controls on VPN usage include Russia, Turkey, Oman, Iran, and the United Arab Emirates. This doesn’t mean you cannot use a VPN in any of these countries. Most of the providers we recommend, such as ExpressVPN and NordVPN, will work perfectly well in all of them. It is also extremely hard for these countries to know if you are using a VPN or not. But, if they do find out, it is possible that you could face repercussions. 5) Can you be tracked if you use a VPN? In most circumstances, your online activity cannot be tracked if you are using a VPN because when the IP Address attached to your data is changed, it becomes impossible to trace what you are doing back to your own IP Address. However, there is an element of trust involved. Your VPN provider can still see what you are doing online, so you need to choose one that will not keep a record of what you are doing online. Most reputable VPN providers will offer a no user logs guarantee. This is an assurance that they are not keeping records of your internet activity. However, it is important to look at the fine print. Some may not keep records of the websites you visit, but can still retain connection details, such as records of the IP Addresses you were using, time you spent online etc. We detail all of this clearly in our VPN reviews, so it is worth taking a look before signing up or choosing a VPN like VyprVPN which has had an independent audit confirm its no logs status. Also, if you are logging into personal accounts, such as social media and emails, which contain identifying information, it will be possible to identify and track you online too. 6) Can a VPN be blocked? It is possible to block a VPN, but as the likes of Netflix and the Communist regime in China have found out, it is extremely difficult. To date, no country or organisation has managed to successfully block access to all VPN providers, despite many trying. In a number of places, especially those countries listed above where VPNs are illegal or restricted, the websites of VPNs are blocked. Some companies like Apple have decided that it is morally acceptable to pull VPN apps from their app stores in countries like China too. But the only way to block a VPN from working altogether is to identify and block the specific IP Addresses that it is using. And this is almost impossible. Firstly, most major VPN providers use thousands of different IP Addresses. It is also quote easy for them to acquire new ones, so several VPNs simply change IP Addresses when their old ones are blocked. The easiest way to spot a VPN IP Address is to look for one with a lot of traffic suggesting multiple users. But some VPNs even offer users individual IP Addresses these days too. It can also be possible to block VPNs by port or protocol too. But the best VPNs offer some sort of ‘incognito’ mode, which invariably enables users to evade these blocks too. So, while the answer to this question has to be that, yes, it is possible to block a VPN. In reality, achieving a total block of all VPN providers is next to impossible. 7) Will a VPN get around blocked sites? Yes, a VPN can be used to access blocked sites from anywhere in the world. There is nothing more frustrating than finding you can’t access your Netflix account or the BBC iPlayer when overseas. At the same time, state internet censorship is a growing problem and means millions of people around the globe have their internet access restricted. But VPNs provide a solution. When streaming services block users from different countries, they do so by only permitting IP Addresses from certain countries to access their service. But by connecting to a VPN server in one of those countries you can fool them into letting you watch their content from anywhere. In this way you can use a VPN to watch US Netflix overseas and to watch the BBC iPlayer outside the UK. When the internet is being censored, regimes like the one in China instruct ISPs to block access to websites. But with a VPN, because your internet data is encrypted and being redirected through a server, your ISP cannot see what sites you are visiting and so is unable to block access to anything. So no matter what the reason, if you find the website or streaming service you want to use is blocked, a VPN is the answer to your problems. 8) What is a Stealth VPN? Good question. A Stealth VPN is a relatively new term that is applied to a mode that can hide the fact that you are using a VPN from the websites you are visiting. We have talked above about how services like Netflix have tried to stop VPN users accessing their service. Equally, we have discussed how some countries have also tried to outlaw VPNs. They have various techniques to try and identify VPN users and so-called stealth modes are how VPN providers are responding to this new challenge. The precise name for the stealth mode in your VPN will depend on which provider you are using. In IPVanish, it is referred to as ‘Obfuscate OpenVPN traffic’. VyprVPN talk a lot about their Chameleon protocol. With most VPN, the stealth mode is an additional feature that has to be activated manually, usually through the settings menu. But in NordVPN it is different. They used to have a feature called Smartplay, but this has now been integrated into all their servers meaning all connections are in ‘stealth mode’. Despite all the technical terms and acronyms, hopefully this article has gone some way to convince you that actually VPN are really simple to use and don’t require a lot of technical know how. A VPN is an easy-to-use online security and privacy tool, which is simple to set up, safe to use, and legal in all but a handful of dubious authoritarian regimes. As long as you use a reputable VPN, you cannot be tracked online while connected and while it is technically possible to block a VPN, in reality it is incredibly difficult. VPNs will indeed be able to help you access blocked and censored content and while Stealth VPN sounds like a new tool altogether, it is actually an umbrella term for a function most VPN providers offer to help you hide the fact you are using a VPN. David is VPNCompare's News Editor. Anything going on in the privacy world and he's got his eye on it. He's also interested in unblocking sports allowing him to watch his favourite football team wherever he is in the world. Away from writing, he enjoys reading and politics. He is currently learning Mandarin too... slowly.